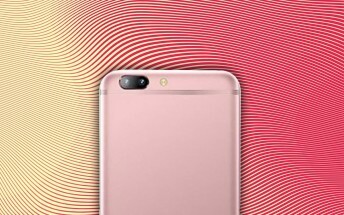 Oppo already launched its first dual camera phone, the F3 Plus, but that focused on selfies. The Oppo R11 could become the first to have a dual cam on the back, though specs uncovered in the GFXBench database show that we can still expect solid selfie photography. 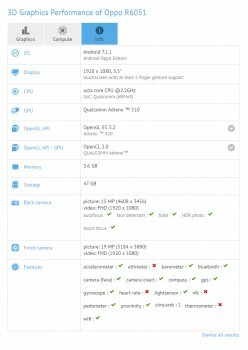 The benchmark detected a 16MP main camera (it can’t tell the difference between single and dual cams) as well as a 20MP selfie camera. Both are capable of 1080p video (but not 4K). The rest is as expected - an octa-core processor (a Snapdragon 660 SoC perhaps, the older 653 is possible too), 4GB of RAM and 64GB of built-in storage, plus a surprisingly fresh Android 7.1. The Oppo R11 will have a 5.5” 1080p screen, but rumor has it that a Plus version will increase the diagonal to 6”. We should be seeing both in June - whether they will bring Oppo’s 5x zoom dual camera or not (among other details) is anyone's guess.